Adam Driver is an award-winning American actor, stage performer and voice-over artist who is popular for his roles in Girls (2012–2017) and in the Star Wars sequel trilogy in which he portrayed the main antagonist Kylo Ren. Driver, who joined the military after the September 11 terrorist attack, has founded the organization, Arts in the Armed Forces (AITAF), a non-profit organisation which performs theatre in US armed forces bases inside and outside the country. Adam Driver was born Adam Douglas Driver to his parents; Nancy Wright and Joe Douglas Driver who have an English, Dutch, German, Irish, and Scottish ancestry, in San Diego, California on November 19, 1983. His father was a preacher while his mother worked as a paralegal. Around the age of seven, following the divorce of his parents, he moved to Mishawaka, Indiana, with his older sister and mother who later married Baptist Church minister Rodney G. Wright. He had a religious upbringing and schooled at Mishawaka High School where he first began to act in school plays. After graduating from high school, Adam Driver applied to the famed Julliard School in New York to study acting. His application was rejected and left him with no choice than to work as a telemarketer for a waterproofing and construction company and as a Kirby vacuum cleaner salesman. However, after the September 11, 2001 terror attack, Driver opted to serve his country by joining the United States Marine Corps. He was made an 81mm mortar man for the Weapons Company, 1st Battalion, 1st Marines. He served for almost three years until he had an accident while mountain biking that broke his sternum and led to him being medically discharged. After leaving the military, he enrolled at the University of Indianapolis before applying to Julliard where he was accepted. He graduated from the school in 2009 with a Bachelor of Fine Arts degree. After graduating, Driver began getting little roles in television series like The Unusuals (2009) and Law & Order (2010), and also in movies like You Don’t Know Jack (2010) and The Wonderful Maladys (2010). He also performed on both Broadway and off-Broadway productions like George Bernard Shaw’s Mrs Warren’s Profession‘ (2010) and Alexander Ostrovsky’s The Forest (2010). Adam Driver’s big break later came in 2011 when he was cast in Clint Eastwood’s ‘J. Edgar’ (2011). That same year, he was cast in the HBO series ‘Girls’, as actress Lee Dunham’s love interest. He made a name for himself on the show and received three Primetime Emmy Award nominations for Outstanding Supporting Actor in a Comedy Series. He subsequently featured in a number of high-profile movies and stage productions including Steven Spielberg’s ‘Lincoln’ (2012), the Coen brothers’ ‘Inside Llewyn Davis’ (2013), and the off-Broadway production, ‘Look Back in Anger’ (2012) which earned him a Lucille Lortel Award for Outstanding Featured Actor in a Play. In recent times, Driver has played the villain, Kylo Ren, in J. J. Abrams’ ‘Star Wars: The Force Awakens’ (2015) and in the second sequel ‘Star Wars: The Last Jedi’ (2017). He is set to reprise the role in the upcoming ‘Star Wars: Episode IX’. 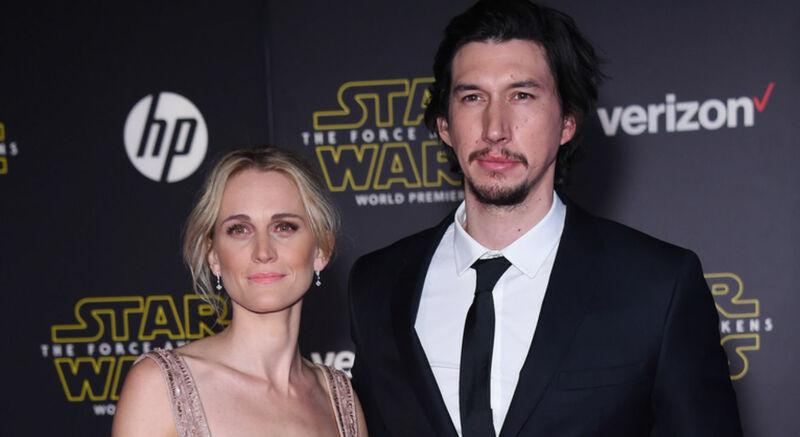 Adam Driver is married to actress Joanne Tucker. The couple met at Julliard School where they were both members of the Drama Division’s Group 38. They got married in June 2013 after having dated since the mid-2000s. They currently live together in Brooklyn, New York with their rottweiler-pit-bull mix named Moose. Joanne Tucker, who was born on June 26, 1982, making her a few months older than her husband, grew up in the Upper East Side of Manhattan, New York where she attended the elite K-12 Dalton School before joining Julliard. She once made an appearance on her husband’s show ‘Girls’ as Ruthie in the seventh episode of its fifth season. Other movies in which she has appeared in are Loft (2011), Gayby (2012), and Listen Up Philip (2014). 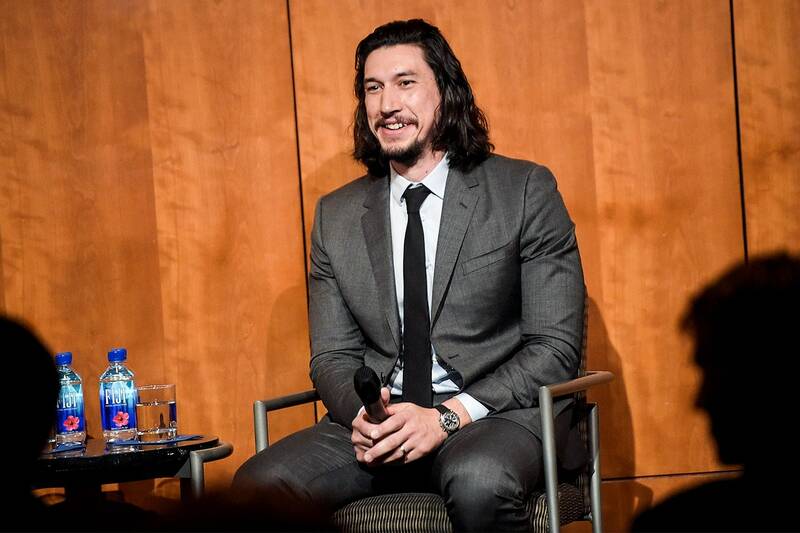 Adam Driver has an estimated net worth of around $8 million which he has earned from his various movie roles, most notably the six-figure salary he took home from starring in Star Wars. His net worth will surely be increasing over the next few years as he is slated to reprise his role in the new Star Wars film. And going by the numbers the previous one grossed, it is almost certain that Driver will negotiate a better contract this time.